Kanye West, hailing from Chicago and born June 8, 1977, spent several years in the background of rap music helping out with producing tracks for other rappers before hitting big as a solo rap artist and becoming a very controversial and out-spoken personality. October: Kanye was injured in a car accident in LA. November 12: Kanye appeared on the Jay-Z LP The Blueprint 2: The Gift And The Curse with the track "The Bounce." January 10: Kanye hit the ARC Weekly Top 40 helping out Twista and Jamie Foxx with "Slow Jamz." January 24: Kanye topped the Billboard Rap Tracks chart for 7 weeks helping out Twista and Jamie Foxx with "Slow Jamz." January 31: Kanye topped the Billboard Rhythmic Top 40 chart for 3 weeks helping out Twista and Jamie Foxx with "Slow Jamz." February 10: Kanye released his debut LP College Dropout. February 14: Kanye topped the Billboard Hot 100 Airplay chart for 2 weeks helping out Twista and Jamie Foxx with "Slow Jamz." February 21: Kanye hit the Top 10 with Twista and Jamie Foxx with "Slow Jamz." February 21: Kanye topped the Billboard Hot 100 chart for 1 week and R&B/Hip-Hop Singles & Tracks chart for 2 weeks helping out Twista and Jamie Foxx with "Slow Jamz." February 28: Kanye topped the Billboard R&B/Hip-Hop Albums chart for 3 weeks with College Dropout. March 6: Kanye hit the ARC Weekly Top 40 with "Through The Wire." March 30: Kanye appeared on the Janet Jackson LP Damita Jo with the track "My Baby." April 6: College Dropout was certified platinum. May 15: Kanye hit the ARC Weekly Top 40 with help from Syleena Johnson with "All Falls Down." June 30: College Dropout was certified 2x platinum. August: Kanye began touring as the opening act for Usher's tour. August 29: Kanye was nominated for 6 MTV Video Music Awards including Best Male Video, Best Hip-Hop Video, Best New Artist, Breakthrough Video ("All Falls Down" with Syleena Johnson), Best R&B Video ("Talk About Our Love" with Brandy), and the MTV2 Award ("Slow Jamz" with Twista and Jamie Foxx). Kanye also performed at the ceremony. November 14: Kanye was nominated for 3 American Music Awards including Favorite Breakthrough Artist, Favorite Rap Male Artist, and Favorite Rap/Hip-Hop Album. Kanye also performed at the ceremony. December 31: College Dropout was chosen by Rolling Stone magazine's critics as the best album of the year. December 31: Kanye topped the Billboard Year-End Charts as the Top New Pop Artist, Top New R&B/Hip-Hop Artist, and Top Hot Rap Artist. 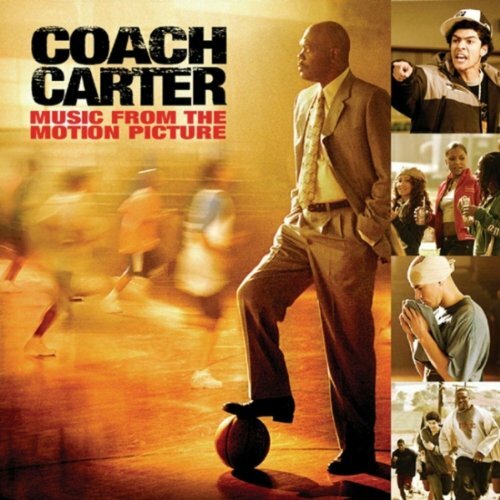 January 11: Kanye could be heard on the soundtrack to Coach Carter with "Wouldn't You Like To Ride." February 13: Kanye won 3 Grammy Awards for Best R&B Song (awarded to the songwriter) ("You Don't Know My Name" with Alicia Keys and Harold Lilly), Best Rap Song (awarded to the songwriter) ("Jesus Walks" with C. Smith), and Best Rap Album (College Dropout), and was nominated for Album of the Year (College Dropout), Song of the Year (awarded to the songwriter) ("Jesus Walks" with C. Smith), Best Rap/Sung Collaboration ("Slow Jamz" with Twista and Jamie Foxx and "All Falls Down" with Syleena Johnson), Best Rap Solo Performance ("Through The Wire"), and Best New Artist. Kanye performed at the ceremony. March: Kanye won a NAACP Image Award for Outstanding New Artist. July 2: Kanye performed in Philadelphia as part of the worldwide Live 8 concerts. The mission of the concerts was to raise awareness of the on-going poverty in Africa and to pressure the G8 leaders to take action by doubling aid, canceling debt, and delivering trade justice for Africa. August: Kanye announced that he felt hip-hop music and rap was getting too comfortable with using 'gay' as a negative and as the opposite of hip-hop, and wanted this to be stopped: "It was kind of like a turning point when (my cousin came out). I was like 'Yo, this is my cousin, I love him, and I been discriminating against gays.' But everybody in hip-hop discriminates against gay people... the exact opposite word of hip-hop, I think is gay... and I wanna just come on TV and just tell my rappers, just tell my friends, 'Yo, stop it.'" August 28: The video for "Jesus Walks" won a MTV Video Music Award for Best Male Video and was nominated for Video of the Year and Best Hip-Hop Video. Kanye performed at the ceremony. August 30: Kanye released Late Registration. September 2: Kanye appeared on a live NBC benefit show, A Concert For Hurricane Relief, to help the victims of Hurricane Katrina, and went off-script to give his feelings about the slow response by President Bush; "George Bush doesn't care about black people." West also targeted the media: "I hate the way they portray us in the media. If you see a black family, it says they're looting. See a white family, it says they're looking for food." September 9: Kanye performed on Shelter From The Storm: A Concert For The Gulf Coast - a benefit program shown on all the major networks simultaneously to raise money for those affected by Hurricane Katrina. September 10: Kanye performed on ReAct Now: Music & Relief - a benefit program shown on music video channels to raise money for those affected by Hurricane Katrina. September 10: Kanye hit the ARC Weekly Top 40 with "Gold Digger." September 17: Kanye topped the Billboard Hot 100 chart for 10 weeks, Digital Songs chart for 9 weeks, and Digital Tracks chart for 3 weeks with "Gold Digger." September 17: Kanye topped the Billboard 200 LP chart for 2 weeks, Internet Albums chart for 1 week, R&B/Hip-Hop Albums chart for 2 weeks, and Rap Albums chart for 3 weeks with Late Registration. The LP sold over 860,000 copies in the US its first week of release. The LP also topped the charts in Canada. September 17: Kanye topped the Billboard Pop 100 chart for 10 weeks and R&B/Hip-Hop Songs chart for 4 weeks with "Gold Digger." September 29: Late Registration was certified 2x platinum. October 1: Kanye performed "Gold Digger," "Touch The Sky," and "Heard 'Em Say" on Saturday Night Live. October 8: Kanye hit the Top 10 with "Gold Digger." October 8: Kanye topped the Billboard Hot 100 Airplay chart for 5 weeks, Rap Songs chart for 4 weeks, and Rhythmic Top 40 chart for 6 weeks with "Gold Digger." October 29: Kanye hit #1 for 2 weeks on the ARC Weekly Top 40 with "Gold Digger." November 5: Kanye hit the ARC Weekly Top 40 with "Heard 'Em Say." November 5: Kanye topped the Billboard Top 40 Mainstream chart for 2 weeks with "Gold Digger." November 22: Kanye could be heard on the Hurricane Relief: Come Together Now compilation with "We Can Make It Better." December 31: Kanye had the # 9 selling LP of 2005 with Late Registration selling over 2.4 million copies during the year. February 8: Kanye won 3 Grammy Awards for Best Rap Solo Performance ("Gold Digger"), Best Rap Song (songwriting with D. Harris) ("Diamonds From Sierra Leone") and Best Rap Album (Late Registration), and was nominated for Album of the Year (Late Registration), Record of the Year ("Gold Digger"), Best R&B Song (writing Alicia Keys' "Unbreakable" with Garry Glenn, Keys, and Harold Lily), and Best Rap/Sung Collaboration ("They Say" with Common and John Legend from Common's LP, Be). Kanye was also nominated a second time in the Album of the Year for his production work on Mariah Carey's The Emancipation Of Mimi. Kanye also performed at the ceremony. February 9: Kanye appeared on the cover of Rolling Stone. February 24: Late Registration was certified 3x platinum. February 25: Kanye hit the ARC Weekly Top 40 with "Touch The Sky." August 31: The video for "Gold Digger" was nominated for 2 MTV Video Music Awards including Best Male Video and Best Hip-Hop Video. November 21: Kanye was nominated for 2 American Music Awards for Favorite Pop/Rock Male Artist and Favorite Rap/Hip-Hop Male Artist. July 7: Kanye performed at the Live Earth concert in the US. The 7-continent concert organized by Al Gore brought together over 100 artists to perform and raise the world's awareness about the climate crisis and how to make a difference to help the environment and the world. August 4: Kanye hit the ARC Weekly Top 40 with "Stronger." August 25: Kanye topped the UK singles chart for 2 weeks with "Stronger." September 8: Kanye hit the Top 10 with "Stronger." September 8: Kanye topped the Billboard Digital Songs chart for 2 weeks with "Stronger." September 9: Kanye was nominated for 4 MTV Video Music Awards including Video of the Year and Best Editing (Peter Johnson and Corey Weisz) ("Stronger"), Male Artist of the Year, and Quadruple Threat of the Year. Kanye also performed at the ceremony. September 11: Kanye released Graduation. September 16: Kanye topped the UK LP chart for 1 week with Graduation. September 20: Kanye appeared on the cover of Rolling Stone. September 29: Kanye hit the ARC Weekly Top 40 with T-Pain with "Good Life." September 29: Kanye topped the Billboard 200 LP chart for 1 week, Digital Albums chart for 2 weeks, R&B/Hip-Hop Albums chart for 3 weeks, and Rap Albums chart for 6 weeks with Graduation - the LP sold over 956,000 copies its first week of release in the US. September 29: Kanye topped the Billboard Pop 100 chart for 5 weeks with "Stronger." September 29: Kanye performed "Stronger," "Good Life," "Champion," and "Everything I Am" on Saturday Night Live. October 6: Kanye topped the Billboard Hot 100 Airplay chart with "Stronger." October 13: Kanye hit #1 for 3 weeks on the ARC Weekly Top 40 with "Stronger." October 18: Graduation was certified 2x platinum. October 27: Kanye topped the Billboard Top 40 Mainstream chart for 3 weeks with "Stronger." November 3: Kanye topped the Billboard Rap Songs chart for 9 weeks with T-Pain with "Good Life." November 6: Kanye could be heard on the Chris Brown LP Exclusive on the track "Down." November 6: Kanye could be heard on the Jay-Z LP American Gangster on the track "Roc Boys." November 10: Kanye received devastating news when his mom died at the age of 58 from complications from surgery. His mom, Donda West, helped manage Kanye's businesses and educational foundation. Donda West was the inspiration for Kanye's song "Hey Mama" and wrote Raising Kanye: Life Lessons From The Mother Of A Hip-Hop Superstar. December 31: Kanye had the # 10 selling LP of 2007 with Graduation selling over 1,8 million copies in the US. January 12: Kanye hit the ARC Weekly Top 40 with the help of Dwele with "Flashing Lights." February 10: Kanye won 4 Grammy Awards for Best Rap Solo Performance ("Stronger"), and Best Rap Performance by a Duo or Group ("Southside" with Common), and Best Rap Song (awarded to the songwriter) ("Good Life' with A. Davis and F. Najm), and Best Rap Album (Graduation), and was nominated for Album of the Year (Graduation), Best Rap/Sung Collaboration ("Good Life" with T-Pain), Best Rap Performance by a Duo or Group ("Better Than I've Ever Been" with Nas & KRS-One) and Best Rap Song (awarded to the songwriter) ("Can't Tell Me Nothing" with A. Davis). Kanye performed at the ceremony. February 12: Kanye could be heard on the Michael Jackson LP 25th Anniversary Of Thriller. March 29: Kanye topped the UK singles chart for 4 weeks helping out Estelle with "American Boy." June 6: Kanye hit the ARC Weekly Top 40 helping out Estelle with "American Boy." September 7: The video for "Good Life" won a MTV Video Music Award for Best Special Effects (SoMe and Jonas & Francois), and "Homecoming." Kanye performed at the ceremony. September 11: Kanye was arrested in L.A. for reportedly vandalizing a paparazzo's camera. September 13: Kanye hit the Top 10 helping out Estelle with "American Boy." September 13: Kanye topped the Billboard Rap Songs chart helping out Young Jeezy with "Put On." September 27: Kanye hit the ARC Weekly Top 40 helping out Jay-Z, T.I., and Lil Wayne with "Swagga Like Us." October 4: Kanye hit the ARC Weekly Top 40 with "Love Lockdown." October 28: Kanye could be heard on the John Legend LP Evolver on the track "It's Over." November 11: Kanye could be heard on the T-Pain LP Thr33 Ringz on the track "Therapy." November 22: Kanye hit the ARC Weekly Top 40 with "Heartless." November 22: Kanye topped the Billboard Digital Songs chart and Digital Tracks chart with "Heartless." November 23: Kanye won 2 American Music Awards for Favorite Rap/Hip-Hop Album and Favorite Rap/Hip-Hop Male Artist. November 24: Kanye released 808's And Heartbreak. December 13: Kanye topped the Billboard 200 LP chart for 1 week, R&B Hip-Hop Albums chart for 1 week, and Digital Albums chart for 1 week with 808's And Heartbreak. The LP sold over 450,000 copies its first week of release in the U.S.
December 13: Kanye performed "Love Lockdown" and "Heartless" on Saturday Night Live. December 20: Kanye hit the Top 10 with "Love Lockdown." December 31: Kanye topped the Rolling Stone 'Readers Poll' for Best Hip-Hop Artist of 2008. January 10: Kanye hit the Top 10 with "Heartless." January 27: 808's And Heartbreak was certified platinum. January 31: Kanye topped the Billboard Rhythmic Top 40 chart for 5 weeks with "Heartless." February 7: Kanye topped the Billboard Rap Songs chart for 5 weeks with "Heartless." February 8: Kanye won 2 Grammy Awards for Best Rap Performance by a Duo or Group ("Swagga Like Us" with Jay-Z, T.I., and Lil Wayne) and Best Rap/Sung Collaboration ("American Boy" with Estelle), and was nominated for Song of the Year (awarded to the songwriter) ("American Boy" with William Adams, Keith Harris, Josh Lopez, Caleb Speir, John Stephens, and Estelle Swaray), Best Rap Performance by a Duo or Group ("Mr. Carter" with Jay-Z), and Best Rap Song (awarded to the songwriter) ("Swagga Like Us" with Jay-Z, T.I., and Lil Wayne). Kanye performed at the ceremony. February 28: Kanye topped the Billboard Hot 100 Airplay chart for 2 weeks with "Heartless." April 18: Kanye hit the ARC Weekly Top 40 with "Paranoid." May 16: Kanye hit the ARC Weekly Top 40 helping out Keri Hilson and Ne-Yo with "Knock You Down." June 13: Kanye topped the Billboard R&B/Hip-Hop Singles & Tracks chart for 2 weeks helping out Keri Hilson and Ne-Yo with "Knock You Down." June 13: Kanye topped the Billboard Rhythmic Top 40 chart for 3 weeks helping out Keri Hilson and Ne-Yo with "Knock You Down." June 16: Kanye could be heard on the Beyoncé DVD/CD Above And Beyonce Dance Mixes on the remix of "Ego." July 11: Kanye hit the Top 10 helping out Keri Hilson and Ne-Yo with "Knock You Down." July 11: Kanye topped the Billboard Radio Songs chart for 4 weeks helping out Keri Hilson and Ne-Yo with "Knock You Down." August 29: Kanye hit the ARC Weekly Top 40 helping out Jay-Z and Rihanna with "Run This Town." September 12: Kanye topped the UK singles chart for 1 week helping out Jay-Z and Rihanna with "Run This Town." September 12: Kanye hit the ARC Weekly Top 40 helping out Kid Cudi and Common with "Make Her Say." September 13: The video for "Love Lockdown" was nominated for 3 MTV Video Music Awards including Video of the Year, Best Male Video, and Best Hip-Hop Video, and the video for "Paranoid" was nominated for Best Special Effects. Although Kanye went home empty-handed - he made himself known at the ceremony by grabbing the microphone away from Taylor Swift (on stage accepting the Best Female Video award) and saying Beyoncé should have won. He was continuously booed by the audience whenever his name was announced. Kanye's behavior became the focus of the ceremony for several days as he attempted to apologize via his blog, on The Jay Leno Show, and eventually to Swift directly 2 days later by phone (after Swift announced on The View she hadn't heard from the rapper). September 26: Kanye topped the Billboard Rap Songs chart for 7 weeks helping out Jay-Z and Rihanna with "Run This Town." October 3: Kanye hit the ARC Weekly Top 40 with Drake, Eminem, and Lil Wayne with "Forever" from the Music Inspired By The Film More Than A Game soundtrack. October 10: Kanye hit the Top 10 helping out Jay-Z and Rihanna with "Run This Town." October 17: Kanye topped the Billboard Rhythmic Top 40 chart for 4 weeks helping out Jay-Z and Rihanna with "Run This Town." December 31: Kanye topped the Billboard 2009 Year-End Chart Toppers as the Top Pop Artist - Male (singles & albums), Top Billboard 200 Album Artist - Male, and Top Hot 100 Artist - Male. January 5: The CD/DVD VH1 Storytellers was released. January 31: Kanye won 2 Grammy Awards for Best Rap Song (awarded to the songwriter) and Best Rap/Sung Collaboration ("Run This Town" with Jay-Z and Rihanna), and was nominated for Best Rap Performance by a Duo or Group ("Make Her Say" with Kid Cudi and Common and "Amazing" with Young Jeezy), Best Rap/Sung Collaboration ("Ego" with Beyoncé and "Knock You Down" with Keri Hilson and Ne-Yo). September 12: The video for "Forever" was nominated for a MTV Video Music Award for Best Hip-Hop Video. October 2: Kanye performed "Power" and "Runaway" on Saturday Night Live. November 22: Kanye released My Beautiful Dark Twisted Fantasy. November 22: Kanye could be heard on the Nicki Minaj LP Pink Friday on the track "Blazin." December 7: Kanye could be heard on the T.I. LP No Mercy on the track "Welcome To The World." December 11: Kanye topped the Billboard 200 LP chart for 1 week, R&B/Hip-Hop Albums chart for 2 weeks, Rap Albums chart for 2 weeks, and Digital Albums chart for 2 weeks with My Beautiful Dark Twisted Fantasy. The LP sold over 496,000 copies its first week of release in the US. January 11: My Beautiful Dark Twisted Fantasy was certified platinum. February 13: Kanye was nominated for a Grammy Award for Best Rap Solo Performance ("Power"). March 5: Kanye hit the ARC Weekly Top 40 helping out Katy Perry with "E.T." March 26: Kanye topped the Billboard Digital Songs chart for 7 weeks and Dance Singles Sales chart for 1 week helping out Katy Perry with "E.T." March 29: Kanye could be heard on the Snoop Dogg LP Doggumentary Music on the track "Eyez Closed." April 2: Kanye hit the Top 10 helping out Katy Perry with "E.T." April 2: Kanye topped the Billboard Digital Tracks chart for 3 weeks helping out Katy Perry with "E.T." April 9: Kanye hit the ARC Weekly Top 40 with "All Of The Lights." April 9: Kanye topped the Billboard Hot 100 chart for 5 weeks helping out Katy Perry with "E.T." April 23: Kanye hit #1 for 6 weeks on the ARC Weekly Top 40 helping out Katy Perry with "E.T." helping out Katy Perry with "E.T." April 23: Kanye topped the Billboard Dance Club Songs chart for 1 week helping out Katy Perry with "E.T." April 30: Kanye topped the Billboard Pop Songs chart for 6 weeks and Dance Airplay chart for 2 weeks helping out Katy Perry with "E.T." May 7: Kanye topped the Billboard Radio Songs chart for 5 weeks helping out Katy Perry with "E.T." May 14: Kanye topped the Billboard Rhythmic Top 40 chart for 4 weeks helping out Katy Perry with "E.T." August 12: Kanye and Jay-Z released Watch The Throne. August 27: Watch The Throne topped the Billboard 200 chart for 2 weeks selling over 436,000 copies its first week of release. The LP also topped the Billboard Digital Albums chart for 2 weeks, R&B/Hip-Hop Albums chart for 2 weeks, and Rap Albums chart for 2 weeks. August 28: The video for "E.T." (with Katy Perry) won 2 MTV Video Music Awards for Best Collaboration and Best Special Effects, and was nominated for Best Direction, Best Art Direction, and Best Editing. The video for "All Of The Lights" was nominated for Best Male Video, Best Hip-Hop Video, Best Collaboration, and Best Editing, and the video for "Power" was nominated for Best Special Effects and Best Art Direction. September 3: Watch The Throne topped the Billboard Internet Albums chart for 1 week. September 15: Watch The Throne was certified platinum. September 17: Kanye hit the Top 40 with Jay-Z with "Otis." October 8: Kanye topped the Billboard R&B/Hip-Hop Songs chart for 1 week and R&B/Hip-Hop Airplay chart for 1 week helping out Big Sean and Roscoe Dash with "Marvin & Chardonnay." October 15: Kanye topped the Billboard Mainstream R&B/Hip-Hop chart for 1 week helping out Big Sean and Roscoe Dash with "Marvin & Chardonnay." November 5: Kanye hit the ARC Weekly Top 40 with Jay-Z with "N***** In Paris." November 12: Kanye topped the Billboard R&B/Hip-Hop chart Singles & Tracks for 7 weeks, R&B/Hip-Hop Airplay chart for 7 weeks, and Mainstream R&B/Hip-Hop chart for 3 weeks with Jay-Z with "N***** In Paris." November 20: Kanye was nominated for an American Music Award for Favorite Rap/Hip-Hop Album (Watch The Throne). December 3: Kanye topped the Billboard Rap chart for 10 weeks with Jay-Z with "N***** In Paris." December 17: Kanye topped the Billboard R&B/Hip-Hop Digital Songs chart for 6 weeks with Jay-Z with "N***** In Paris." January 7: Kanye hit the Top 10 with Jay-Z with "N***** In Paris." February 12: Kanye won 4 Grammy Awards including Best Rap/Sung Collaboration, Best Rap Song, ("All Of The Lights"), Best Rap Performance ("Otis"),and Best Rap Album (My Beautiful Dark Twisted Fantasy), and was nominated for Song of the Year and Best Rap/Sung Collaboration ("All Of The Lights"), Best Rap Song ("Otis"), and Best Rap Album (Watch The Throne). April 28: Kanye topped the Billboard R&B/Hip-Hop Digital Songs chart for 14 weeks with help from Big Sean, Pusha T and 2 Chainz from with "Mercy." June 16: Kanye hit the ARC Weekly Top 40 with help from Big Sean, Pusha T and 2 Chainz from with "Mercy." July 7: Kanye topped the Billboard R&B/Hip-Hop Songs chart for 5 weeks, R&B/Hip-Hop Airplay chart for 5 weeks, and Rap Songs chart for 9 weeks with help Big Sean, Pusha T and 2 Chainz from with "Mercy." September 6: The video for "N***** In Paris" with Jay-Z was nominated for 2 MTV Video Music Awards for Best Hip-Hop Video and Best Editing. The video for "Otis" with Jay-Z was nominated for Best Direction. The video for "Mercy" was nominated for Best Hip-Hop Video and Best Editing. September 18: The compilation Kanye West Presents Good Music Cruel Summer was released. September 29: Kanye topped the Billboard R&B/Hip-Hop Digital Songs chart for 3 weeks with help from Jay-Z and Big Sean with "Clique." November 24: Kanye hit the ARC Weekly Top 40 with help from Jay-Z and Big Sean with "Clique." December 11: Kanye could be heard on The Game LP Jesus Piece on the track "Jesus Piece." February 10: Kanye won 3 Grammy Awards including Best Rap Performance and Best Rap Song (awarded to the songwriter) (""N***** In Paris" with Jay-Z) and Best Rap/Sung Collaboration (""No Church In The Wild" with Jay-Z and Frank Ocean), and was nominated for Best Rap Performance ( "Mercy" with Big Sean, Pusha T, and 2 Chainz), Best Rap Song (awarded to the songwriter) ("Mercy"), and Best Music Video, Short Form ("No Church In The Wild" with Jay-Z and Frank Ocean). May 18: Kanye performed "Black Skinhead" and "New Slaves" on Saturday Night Live. June 18: Kanye released Yeezus. June 23: Kanye topped the UK LP chart for 1 week with Yeezus. July 6: Kanye topped the Billboard 200 LP chart for 1 week, R&B/Hip-Hop Albums chart for 1 week, Rap Albums chart for 1 week, and Digital Albums chart for 1 week with Yeezus. The LP sold over 327,000 copies its first week of release in the US. August 12: Yeezus was certified gold. January 8: Yeezus was certified platinum. January 26: Kanye was nominated for 2 Grammy Awards for Best Rap Song (awarded to the songwriter) ("New Slaves") and Best Rap Album (Yeezus). May 24: Kanye married reality personality Kim Kardashian. August 24: The video for "Black Skinhead" was nominated for a MTV Video Music Award for Best Hip-Hop Video. January 31: Kanye hit the ARC Weekly Top 40 with Rihanna and Paul McCartney with "FourFiveSeconds." February 8: Kanye was nominated for 2 Grammy Awards including Best Rap Song (awarded to the songwriter) Best Rap/Sung Collaboration ("Bound 2" with Charlie Wilson). February 21: Rihanna hit the Top 10 with Rihanna and Paul McCartney with "FourFiveSeconds." February 21: Kanye topped the Billboard R&B/Hip-Hop Songs chart for 7 weeks and R&B Songs chart for 7 weeks with Rihanna and Paul McCartney with "FourFiveSeconds." April 1: College Dropout was certified 3x platinum. August 30: Kanye was honored at the MTV Video Music Awards with the Video Vanguard Award. October 9: Kanye could be heard on The Game LP Documentary 2 on the track "Mula." November 22: Kanye was nominated for an American Music Award for Collaboration of the Year ("FourFiveSeconds" with Rihanna and Paul McCartney). February 13: Kanye performed on Saturday Night Live. February 14: Kanye released the streaming-only LP The Life Of Pablo (eventually released for digital download). February 15: Kanye was nominated for 3 Grammy Awards for Best Rap Performance and Best Rap Song (awarded to the songwriters) ("All Day"), and Best Rap/Sung Collaboration ("One Man Can Change The World" with John Legend). April 23: Kanye topped the Billboard 200 LP chart for 1 week with The Life Of Pablo. August 28: The video for "Famous " was nominated for 2 MTV Video Music Awards including Video of the Year and Best Male Video. October 8: Kanye hit the ARC Weekly Top 40 with "Fade." November: Kanye cancelled several performances after an undetermined issues with his mental health was reported and he spent time at the UCLA Medical Center due to hallucinations and paranoia. February 12: Kanye was nominated for 6 Grammy Awards for Best Rap Performance ("That Part" with Schoolboy Q), Best Rap/Sung Performance ("Ultralight Beam" with Chance The Rapper, Kelly Price, Kirk Franklin, and The-Dream and "Famous"), Best Rap Song (awarded to the songwriter) ("Famous" and "Ultralight Beam"), and Best Rap Album (The Life Of Pablo). March 27: The Life Of Pablo was certified platinum. August 27: The video for "Fade" won a MTV Video Music Award for Best Choreography. April 19: My Beautiful Dark Twisted Fantasy was certified 2x platinum. June 1: Kanye released ye. June 15: Kanye appeared on the Nas LP NASIR on the tracks "Cops Shot The Kid" and "Everything." June 16: Kanye topped the Billboard 200 LP chart for 1 week, Album Sales chart, Digital Albums chart, R&B/Hip-Hop Albums chart, and Rap Albums chart with ye. September 21: ye was certified gold. September 29: Kanye performed on Saturday Night Live. He announced on Twitter that he would be known as 'Ye' now. October 11: Kanye had a White House visit with Trump and left everyone bewildered with his comments and rants, except for Trump who embraced his perception of the praise. October 20: Kanye hit the ARC Weekly Top 40 with help from Lil Pump with "I Love It." February 10: Kanye was nominated for a Grammy Award for Producer of the Year (non-classical). Tracks: "We Don't Dare" - "Graduation Day" - "All Falls Down" - "I'll Fly Away" - "Spaceship" - "Jesus Walks" - "Never Let Me Down" - "Get Em High" - "Workout Plan" - "The New Workout Plan" - "Slow Jamz" - "Breathe In Breathe Out" - "School Spirit" - "Two Words" - "Through The Wire" - "Family Business" - "Last Call"
Tracks: "Wake Up Mr. West" - "Heard 'Em Say" (with Adam Levine) - "Touch The Sky" (with Lupe Fiasco) - "Gold Digger" (with Jamie Foxx) - "Skit #1" - "Drive Slow" (with Paul Wall & GLC) - "My Way Home" (with Common) - "Crack Music" (with The Game) - "Roses" - "Bring Me Down" (with Brandy) - "Addiction" - "Skit #2" - "Diamonds From Sierra Leone" (Remix with Jay-Z) - "We Major" (with Nas & Really Doe) - "Skit #3" - "Hey Mama" - "Celebration" - "Skit #4" - "Gone" (with Consequence & Cam'ron) - "Diamonds From Sierra Leone" - "Late"
Tracks: "Good Morning" - "Champion" - "Stronger" - "I Wonder" - "Good Life" (with T-Pain) - "Can't Tell Me Nothing" - "Barry Bonds" - "Drunk And Hot Girls" (with Mos Def) - "Flashing Lights" (with Dwele) - "Everything I Am" (with DJ Premier) - "The Glory" - "Homecoming" (with Chris Martin) - "Big Brother"
Tracks: "Say You Will" - "Welcome To Heartbreak" (featuring Kid Cudi) - "Heartless" - "Amazing" (featuring Young Jeezy) - "Love Lockdown" - "Paranoid" (featuring Mr Hudson) - "RoboCop" - "Street Lights" - "Bad News" - "See You In My Nightmares" (featuring Lil Wayne) - "Coldest Winter" - "Pinocchio Story"
Live Tracks: "See You In My Nightmares" - "RoboCop" - "Flashing Lights" - "Amazing" - "Touch The Sky" - "Say You Will" - "Good Life" - "Heartless" - "Love Lockdown" - "Stronger": "Say You Will" - "Welcome To Heartbreak" (featuring Kid Cudi) - "Heartless"
Tracks: "Dark Fantasy" (Intro) - "Gorgeous" (featuring Kid Cudi & Raekwon) - "Power" - "All Of The Lights" (Interlude) - "All Of The Lights" (featuring Rihanna, Alicia Keys, Fergie, The-Dream, Ryan Leslie, Elton John, Charlie Wilson, Kid Cudi, John Legend, Tony Williams & Elly Jackson) - "Monster" (featuring Jay-Z, Rick Ross, Nicki Minaj & Bon Iver) - "So Appalled" (featuring Jay-Z, Prynce Cy Hi, Swizz Beatz & The RZA) - "Devil In A New Dress" (featuring Rick Ross) - "Runaway" (featuring Pusha T) - "Hell Of A Life" - "Blame Game" (featuring John Legend) - "Lost In The World" (featuring Bon Iver) - "Who Will Survive In America?" Tracks: "On Sight" - "Black Skinhead" - "I Am A God" - "New Slaves" - "Hold My Liquor" - "I'm In It" - "Blood On The Leaves" - "Guilt Trip" - "Send It Up" - "Bound 2"
Tracks: "Ultralight Beam" - "Father Stretch My Hands, Pt. 1" - "Pt. 2" - "Famous" - "Feedback" - "Low Lights" - "Highlights" - "Freestyle 4" - "I Love Kanye" - "Wave" - "FML" - "Real Friends" - "Wolves" - "Frank's Track" - "Siiiiiiiiilver Surffffeeeeer Intermission" - "30 Hours" - "No More Parties In LA" - "Facts" (Charlie Heat Version) - "Fade" - "Saint Pablo"
Tracks: "I Thought About Killing You" - "Yikes" - "All Mine" - "Wouldn't Leave" - "No Mistakes" - "Ghost Town" - "Violent Crimes"